The following information is provided by the Center for REALTOR® Development (CRD). In the fall of last year, at the request of its members, the National Association of REALTORS® (NAR) created a new program to oversee its efforts related to sustainability in real estate. Two key goals of the program are to begin a dialogue with NAR members around this important and accelerating issue, and to position REALTORS® as leaders of change for the benefit of brokers, allied trade professionals, and consumers. The program is called NAR’s Sustainability Program and is headed up by Amanda Stinton, director of Sustainability and NAR’s Green Designation. Her nine years of experience with the association include six years managing NAR’s Green Designation program, NAR’s e-PRO® Certification program, and NAR Tech Edge live event programming (through which local associations partner with NAR to bring technology experts directly to their memberships). • 60 percent of respondents find clients are at least somewhat interested in sustainability. The full report can be accessed at NAR’s website and is free to all active members of the association. What these numbers tell us is that sustainability topics have penetrated the minds of consumers and agents, MLSs, and listing conversations to an extent that they can no longer be considered part of a niche market. 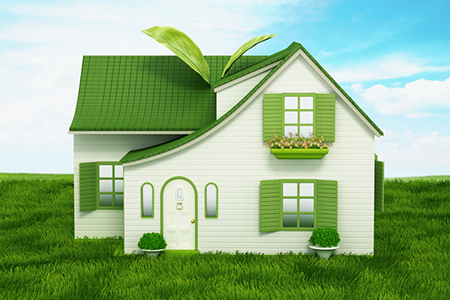 Sustainability in real estate is now clearly a mainstream movement. The issue is ubiquitous enough for the association to begin stepping up its efforts in education and in shaping the conversation. The creation of NAR’s Sustainability Program and this report is just the beginning of many efforts aimed at bringing additional awareness, knowledge and resources to the entire membership so they are well-equipped for the future. For more education about green homes and sustainability, check out this month’s featured online course at the Center for REALTOR® Development, NAR’s Green Designation: Day 1 & 2 Online Bundle, which is on special for 25% off this entire month of April and is the educational requirement for NAR’s Green Designation. For more information, please visit onlinelearning.realtor.